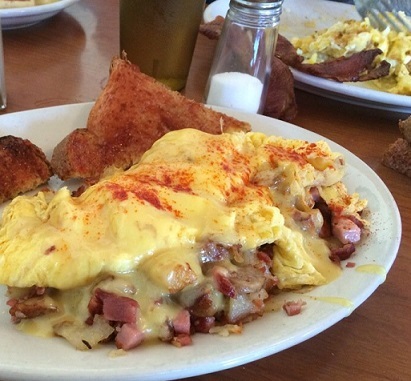 "All Hams on Deck" is a favorite restaurant recipe for a Ham Scramble. Although I know this is delicious, sometimes I think my guests order it just because of the name. One of the secrets to this recipe is the Hollandaise Sauce Recipe. Preparation time: 8 minutes. Servings: 1-2. That's it! An easy, but delicious way, to get "All Hams on Deck" for breakfast. 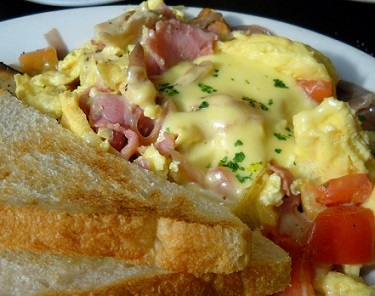 Enjoy your restaurant breakfast recipe for this delicious scramble and the company of those you share it with!